Integrating LiveChat with 3dcart gives you the ability to chat with your website visitors, solve their problems in a flash and guide them through the shopping cart. It translates into more paying customers and higher revenue for your business. 3dcart is an e-commerce platform designed to help e-store owners be as competitive as possible. The platform has plenty of features what makes setting up and running an online store a fast and easy process. 3dcart helps to bring visitors to your shop with modules for SEO (such as canonical URLs, robots.txt editor, 301 redirects, custom file names, dynamic meta tags, and more). It also gives you possibilities to turn potential customers into buyers through various marketing tools (such as promotions, daily deals, autoresponders, make-an-offer, gift cards, gift registry, and coupons). Also, this solution provides internal CRM, which you can use to manage customer groups, access customer profiles, issue refunds, take phone orders, print shipping labels. You can analyze insightful information about your business from built-in reports. Finally, you can expand your services to other platforms: eBay, Amazon, Google Shopping, & Facebook. Adding a chat to your store has never been easier. All that it takes is to add a simple JS snippet and off you go! What's more, we provide a step-by-step tutorial, just to make sure that everything will go as smooth as possible. Adding a chat to your store allows you to provide your customers with instant help. Use this opportunity to deliver exactly what they need: a quick and responsive solution to their problems. Personalize the way you engage customers and make sure that they won't shy away from chatting with you. All of that is possible with one of the most intuitive live chat software on the market. Your customers will love it! 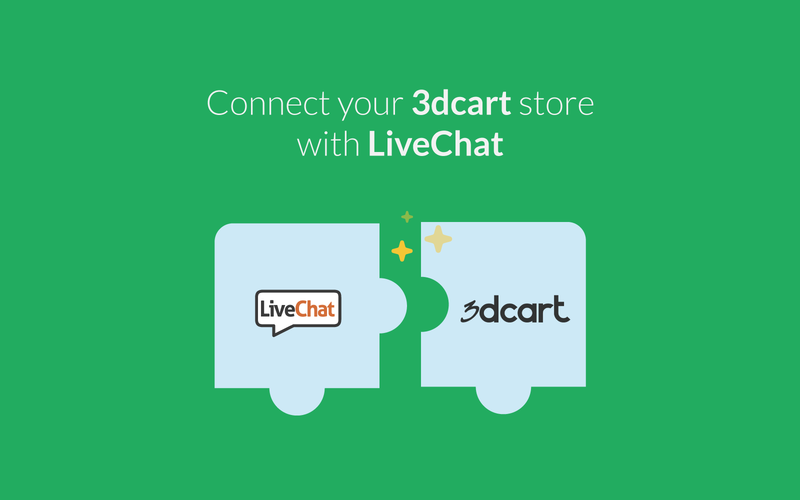 Start using LiveChat with 3dcart now!